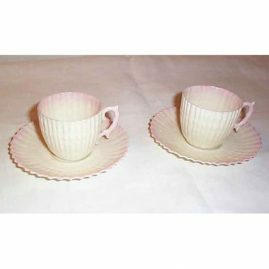 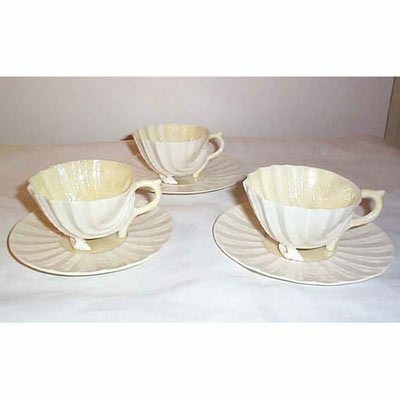 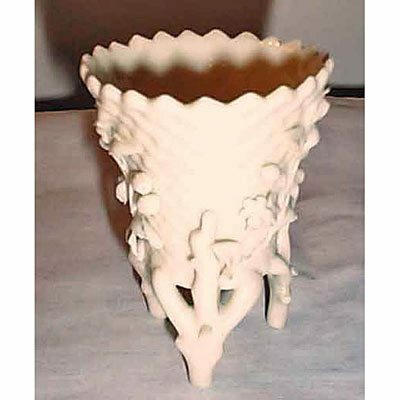 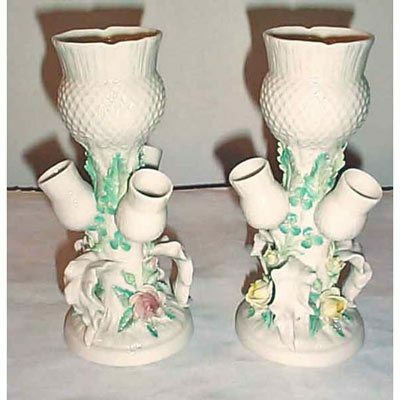 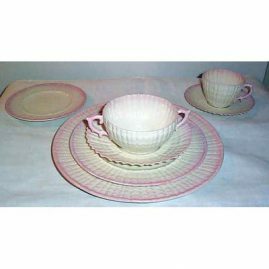 Elegant Findings Antiques has rare unusual pieces of Belleek China like dinnerware, vases, cabinet pieces and cups and saucers. 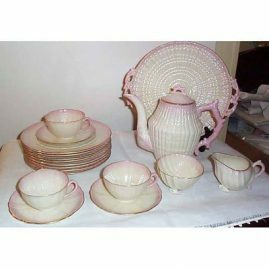 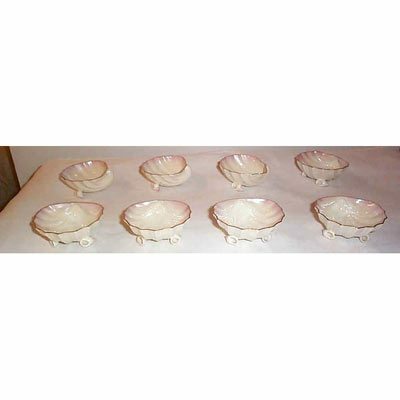 Please click on the pictures below to see a larger image and a description of each Belleek china item. 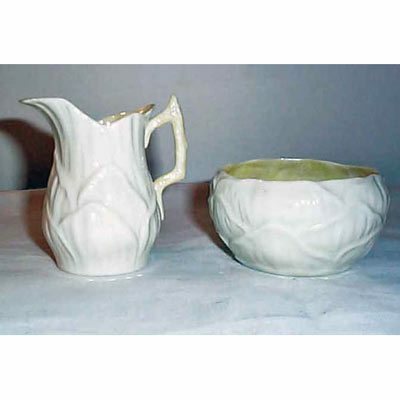 Belleek sugar and creamer, ca-1946-55, Sold. 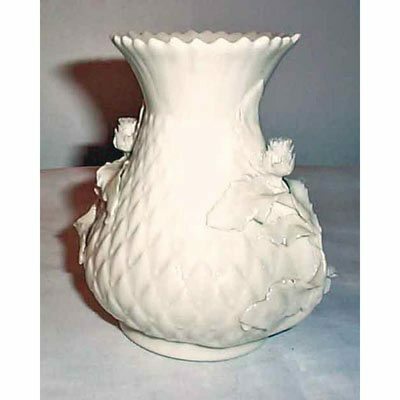 Belleek Black Mark vase with raised flowers, ca-1891-1926, 3 1/2 inches, Price on Request.